This year, Alabama is celebrating it's 200th anniversary of statehood. In recognition of this honor, this thread will contain information about what makes Alabama, and its people, uniquely Alabama. Post your favorite, or least favorite, person/event/place along with your explanation of its significance. Share with us why you are proud to call this place your home. Formed as a territory on March 3, 1817, Alabama became the nation’s twenty-second state on December 14, 1819. ALABAMA 200 is a three-year celebration of the people, places, and events that form our rich history. The Battle of Holy Ground, which took place on December 23, 1813, was a major battle in Creek War of 1813-14. At the Holy Ground, the Red Sticks, a Creek traditionalist faction led by William Weatherford and others, fought local militia and federal troops, under the command of Brig. Gen. Ferdinand Claiborne, who were ostensibly fighting as allies of the Creek National Council. Claiborne 's target, Econochaca, represented the largest concentrations of Red Stick warriors, with sizeable stores of corn and other goods, and had been the staging ground for the attack on Fort Mims. By July 1813, Benjamin Hawkins estimated that 320 warriors were there. By the end of the year, the settlement was said to consist of possibly 200 houses. In early November, Claiborne and his force of almost 1,000 men began moving up the Alabama River toward Econochaca, stopping briefly at several points along the way. After several weeks of marching through difficult terrain and under terrible weather conditions, they had come within 100 miles of Econochaca and constructed a stockade, which they named Fort Claiborne. On December 13, Claiborne and his men began the march to the settlement, setting up camp 10 miles south on December 22. As would become Creek custom, the Red Sticks, led by William Weatherford, evacuated women and children from the town upon receiving word of the American advance. Claiborne divided his men under Colonel Gilbert Russell, who led the Third Infantry, and Major Joseph Carson, who headed the militia. This column reached the town first and traded fire with the Red Stick defenders. As the Americans breached the sacred barrier unharmed, many Red Sticks fled the site; Weatherford and roughly 120 Creek warriors remained to defend the town, as did a sizeable force of African Americans, some of whom were former slaves who had escaped Fort Mims with the Red Sticks. The battle raged for almost an hour, with the Red Stick warriors and their African American allies slowly falling back toward the river. The Americans failed to encircle the town completely, however, and most of the Red Sticks escaped. Weatherford, a noted horseman, escaped by riding his horse Arrow over the 15-foot-high river bluff in a hail of gunfire. Sequoyah (also known as George Guess and George Gist) was one of the most influential men in the history of the Cherokees. In addition to leading a very active role in war and politics, his greatest legacy to the Cherokee nation was his invention of a syllabary, a written version of the Cherokee spoken language that enabled the Cherokees to record their traditions and establish a native language newspaper, among other developments. Although born in what is now Tennessee, Sequoyah lived a large portion of his life in what is present-day northeastern Alabama, even serving in the Creek War of 1813-14; much of the work on his syllabary was accomplished while he lived in the state. Sequoyah became curious about the process of writing that he observed in English-printed books and came to believe that it would be possible to create a written form of the Cherokee language. Beginning in 1809, he experimented with pictographs but found them too daunting. He eventually arrived at a method of assigning one character or symbol to each syllable of sound in the Cherokee language. Although he could not speak, read, or write English, Sequoyah adapted some symbols from the English alphabet and assigned Cherokee syllables to them. For other syllables, he assigned symbols of his own creation. When the 1821 Cherokee National Council met at Sauta (in present-day Jackson County), Sequoyah demonstrated the accuracy of the 86-character syllabary as an effective means of communicating the Cherokee language in written form. The Cherokee leadership approved its dissemination, and within a matter of months the Cherokee Nation became mostly literate. By 1828, the tribe established The Cherokee Phoenix, a newspaper printed in both Cherokee and English. Missionaries quickly used the syllabary to translate parts of the Bible and hymns into the Cherokee language. For his achievements, Sequoyah has been honored in a number of ways. In 1847, the giant Sierra redwood, Sequoia gigantean, was named in his honor. Oklahoma Territory almost became the State of Sequoyah in 1905. In 1907, the state of Oklahoma chose the likeness of Sequoyah to represent its citizenry in the U.S. Capitol's Statuary Hall. In 1936, the Oklahoma Historical Society worked with the federal Work Projects Administration to restore and preserve his home near Sallisaw. In 1961, the state of Alabama planted a redwood on the campus of the University of Alabama in Huntsville. In addition, the North Alabama Historical Association hosted a presentation by the national chairman of the Bicentennial Commemoration at the Russell Erskine Hotel. Encouraged by the Alabama congressional delegation, the U.S. Post Office issued a 19-cent stamp honoring Sequoyah as the premier stamp in its new Great American Series on December 27, 1980. 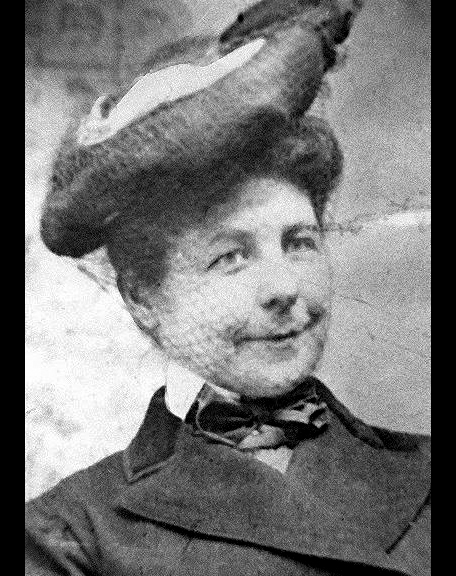 Alabama native Mary Anderson (1866-1953) is credited with inventing the first operational windshield wiper. In her 1903 patent, she called her invention a window cleaning device for electric cars and other vehicles. Although her version of the device was never put into production, it closely resembles the windshield wiper found on many early car models. Mary Anderson Anderson was born on Burton Hill Plantation in Greene County on February 19, 1866, to John C. and Rebecca Anderson. Mary's father died when she was four, but Mary and her sister, Fannie, and mother continued to live off the proceeds from his estate. In 1889, they moved to Birmingham and built the Fairmont Apartment building at 1211 21st Street South on the corner of Highland Avenue. Early in the twentieth century, Anderson travelled to New York City. While riding in a trolley there, she noticed that the motorman had to remove snow and sleet from the front window by stopping the trolley, getting out, and cleaning the windows by hand. Back in Birmingham, Anderson began creating a design for a device very similar to a modern windshield wiper that operated via a lever from inside the vehicle. Anderson had a model of her design manufactured and patented her design (number 743,801) on November 10, 1903. She then tried to sell her design to a production company. In 1905, she wrote a Canadian firm about purchasing the patent, but the company saw no commercial value in the device and declined to produce it. This attempt was apparently the only one Anderson made to market her invention. By the 1920s, the three Anderson women were living independently again on the inheritance from Anderson's aunt after the death of her brother-in-law. Anderson was managing the apartment building at the time of her death on June 27, 1953, while at her summer home in Monteagle, Tennessee. She was buried in Elmwood Cemetery in Birmingham. She was inducted posthumously into the National Inventors Hall of Fame in 2011. 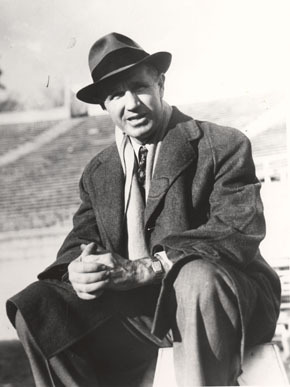 Wallace Wade (1892-1986) is considered one of the greatest coaches in the history of college football. He is credited with promoting southern football nationwide by building powerhouses at the University of Alabama and Duke University in North Carolina. Wade led three Alabama teams to national championships and took three Alabama teams and two Duke teams to the prestigious Rose Bowl. Wade was born in Trenton, Tennessee, on June 15, 1892, into a farming family. His parents were Robert Bruce Wade and Sallie Ann Mitchell, and he had five brothers and three sisters. Wade attended Peabody High School in Trenton, where he played football for the first time under coach Tuck Faucett. Wade chose UA and became the head football coach there in 1923. During his tenure, the Alabama Crimson Tide established itself in national football circles, winning 61 games against only 13 losses. Wade also led the team to its first four conference championships and first three national titles. In 1925, Alabama finished the Wallace Wade at the 1926 Rose Bowl regular season 9-0 and outscored its opponents 277-7. The following year, Alabama was invited to play in the 1926 Rose Bowl against the University of Washington. Alabama was a heavy underdog but won 20-19. Paul W. "Bear" Bryant, later the most famous name in Alabama football history, credited Wade for establishing the University Alabama as a football powerhouse. Many college football historians agree that Alabama's Rose Bowl victory was the most important game in southern football history. Before 1925, football programs in the South were considered mediocre in comparison with those in other parts of the country. A stigma of inferiority was attached to southern teams because the South had a historical legacy of military defeat, poverty, and cultural alienation from the rest of the country. This victory raised the profile of the South as a region that was on the move.Wade led Alabama to a national championship and Rose Bowl tie in 1927 and won another national title in 1930. During that same season, Alabama outscored its nine regular-season opponents 247–13 and defeated Washington State 24–0 in the 1931 Rose Bowl. Bear Bryant, who grew up in Arkansas, chose to attend and play football for UA largely because of what Wade had accomplished. 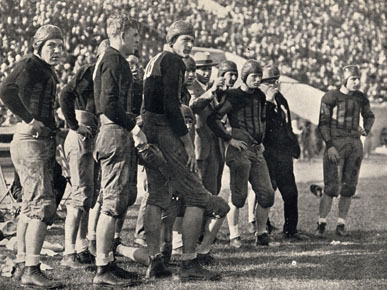 The prestige gained from the 1926 and 1927 Rose Bowl wins enabled the school to collect enough funds to construct Denny Stadium (now Bryant-Denny Stadium). Wade also picked his successor, Frank Thomas, who went on to coaching greatness at Alabama. Wade resigned as Duke coach to volunteer for the U.S. Army at age 49. He eventually was promoted to lieutenant colonel and led the 272nd Field Artillery Battalion in the Battle of Normandy and the Battle of the Bulge and during the Ninth Army's drive through Germany. Wade was awarded a Bronze Star and four battle stars, and the French government awarded him the Croix de Guerre (Cross of War) with Palm, a very high honor for heroism. Every 4th Weekend Of September. Be Sure To Follow Us On Facebook! 2018 marks the 44th year of the Mule Day Festival. The tradition was begun on September 11, 1975, by Curt Estes, Winfield Chamber of Commerce, and Max Brasher, Sr., to honor the hard working mules of the day. Mr. Robert Vickery and Mr. Jack Guin, both from Winfield, were major contributors. No one had any idea this event would grow into the successful event it has become today. Mr. Estes lived to see seven Mule Day Parades with an increase in the entries up to 93 in 1983. Since then the participants have increased to nearly triple that number with an estimated crowd of 25,000 spectators. People attend the festival from many parts of the southeast. Eastern Diamondback rattlesnakes have been rattling since the dawn of time, but they have been a main attraction in Opp, Alabama for the past 56 years. Mr. J.P. Jones was the mastermind behind this small-town, community event. He, along with the Opp Jaycees, first organized this event as a fun-filled, family friendly weekend with snake shows, arts and crafts, and good food. After several years, the rodeo has grown to include other activities such as beauty pageants, the Rattlin' 100 car race held at the South Alabama Speedway, snake races, buck-dancing contests, children's activities, karoke contests, musical entertainment throughout the day and the most popular Rattlin' Country Concert featuring Nashville Country Music Artists and Bands, as well as local groups. The Rattlin' country concert is held on Saturday evening. With all the activities scheduled throughout each day, we are certain The Rattlesnake Rodeo has something for everyone. Foley is the spot for high-flying adventure and family fun at the Gulf Coast Hot Air Balloon Festival. Enjoy the entertainment, arts and crafts displays and more at the festival site daily. Balloon flights, glows and tethered rides (weather permitting) add to the fun at dawn and dusk. The first time I ate rattle snake was here. Jimmy Donal "Jimbo" Wales (born August 7, 1966) is an American Internet entrepreneur, best known as the co-founder of the online non-profit encyclopediaWikipedia and the for-profit web hosting company Wikia. Wales was born in Huntsville, Alabama, where he attended Randolph School, a university-preparatory school. Later, he earned bachelor's and master's degrees in finance from Auburn University and the University of Alabama respectively. On January 15, 2001, with Larry Sanger and others, Wales launched Wikipedia—a free, open content encyclopedia that enjoyed rapid growth and popularity; as Wikipedia's public profile grew, he became the project's promoter and spokesman. He is historically cited as a co-founder of Wikipedia, though he has disputed the "co-" designation, declaring himself the sole founder. Wales serves on the Wikimedia Foundation Board of Trustees, the non-profit charitable organization that he helped establish to operate Wikipedia, holding its board-appointed "community founder" seat. 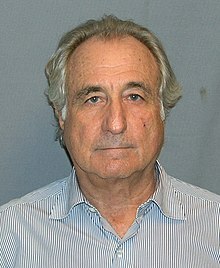 His role in creating Wikipedia, which has become the world's largest encyclopedia, prompted Time magazine to name him in their 2006 list of "The 100 Most Influential People in the World". Mel Allen (born Melvin Allen Israel; February 14, 1913 – June 16, 1996) was an American sportscaster, best known for his long tenure as the primary play-by-playannouncer for the New York Yankees. During the peak of his career in the 1940s, 1950s and 1960s, Allen was arguably the most prominent member of his profession, his voice familiar to millions. Years after his death, he is still promoted as having been "The Voice of the Yankees." In his later years, he gained a second professional life as the first host of This Week in Baseball. In perhaps the most notable moment of his distinguished career, Allen called Game 7 of the 1960 World Series, in which Bill Mazeroski hit a walk-off home run off Ralph Terryto win the fall classic for the Pittsburgh Pirates. This is the only walk-off home run ever to occur in a Game 7 of a World Series. Richard M. Myers (born March 24, 1954) is an American geneticist and biochemist. He is President and Science Director of the HudsonAlpha Institute for Biotechnology.He was previously the chair of the department of genetics at Stanford University and director of the Stanford Human Genome Center. Myers' genome center contributed approximately 10 percent of the data in the Human Genome Project's efforts to sequence the human genome. His research focuses on human genetics and genomics and their interaction with inherited diseases. Myers was born in Selma, Alabama in 1954 and moved to Tuscaloosa, Alabama at age 10. He attended college at the University of Alabama where he earned his bachelor's degree in biochemistry. He then went to graduate school at the University of California at Berkeley, earning his Ph.D. in 1982 in the laboratory of Dr. Robert Tjian. After that, Myers spent almost four years as a postdoctoral fellow in the lab of Dr. Tom Maniatis, where he studied human gene regulation. Some new technologies he developed in Maniatis's lab exposed him to the field of human genetics, and much of his work since then has involved developing and using genomics and genetic tools to understand basic human biology and disease. Myers served on the faculty at the University of California in San Francisco from 1985 - 1993, and then in the Department of Genetics at the Stanford University School of Medicine from 1993 - 2008. He moved to Huntsville Alabama in 2008 to help build the HudsonAlpha Institute for Biotechnology, and continues to serve as president and science director. During his time at Stanford, Myers was professor and chair of the Department of Genetics and director of the Stanford Human Genome Center, one of the first U.S. human genome centers. Myers led the center to contribute more than 10 percent of the data in the Human Genome Project. Keep it coming. Outstanding thread. A Woolly PSA. This was my 4th grade textbook.